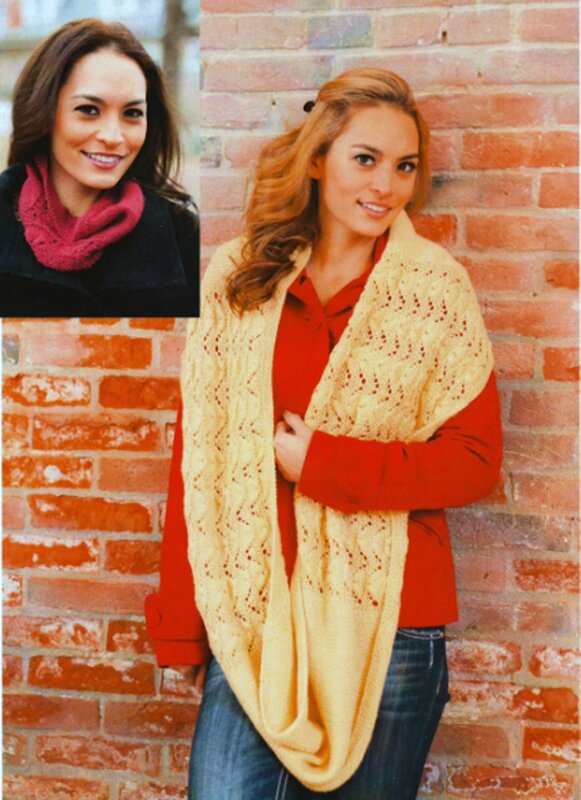 A gorgeous cowl featuring a lacy shell stitch pattern. Cowl can be worked in 2 sizes. Approximate Finished Measurements: 6.75 (14.75)" long x 19.25 (66)"
Manos Del Uruguay Fairmount Fibers Fall 2018 Patterns - Trigo - PDF DOWNLOAD and Berroco Portfolio Vol. 6 Patterns - Napatree Cowl - PDF DOWNLOAD are both similar patterns: 20 (5 sts. / inch) finished gauge, scarf garment, for women, and dk (21-24 sts/4 in) yarn gauge. Hopefully our suggested yarn options for 2738 Cowls can help you come up with your next exciting new project idea!